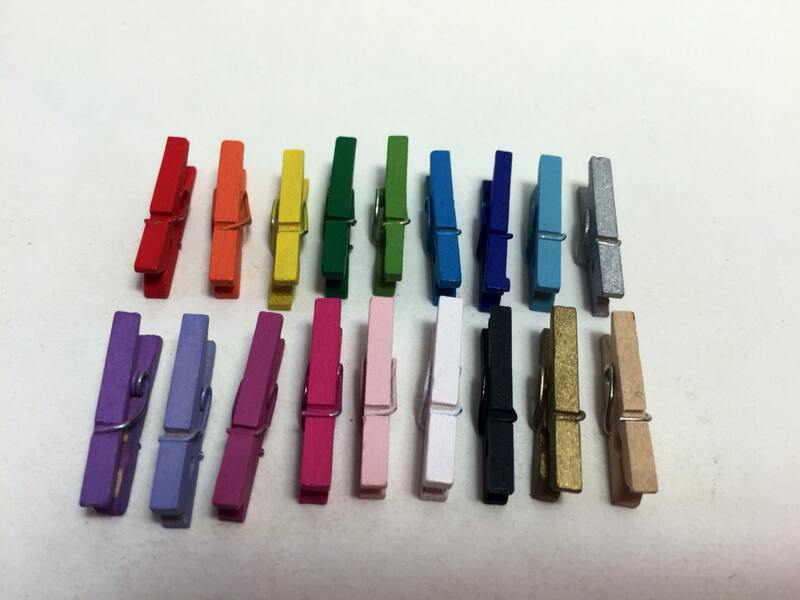 25 mini wooden clothes pins in your choice of color. These tiny clothes pins measure about 1". Use these to add a festive punch to your shindig!